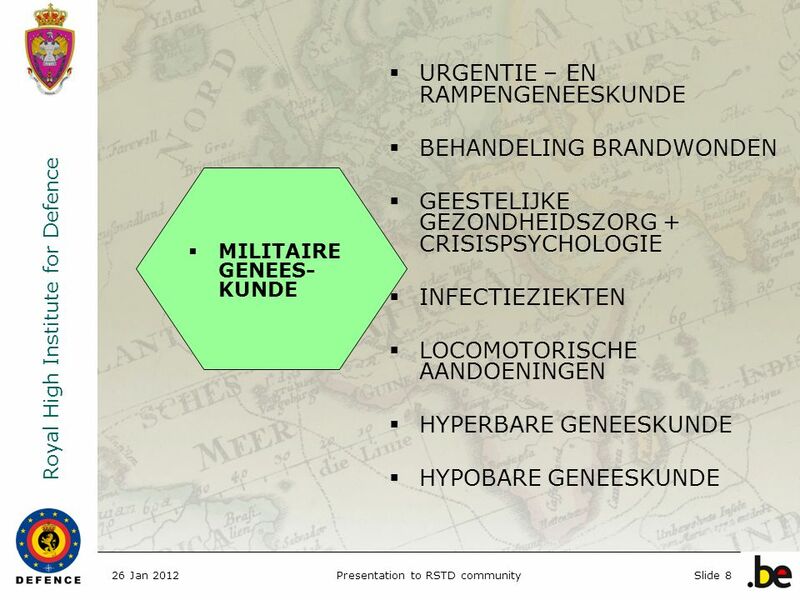 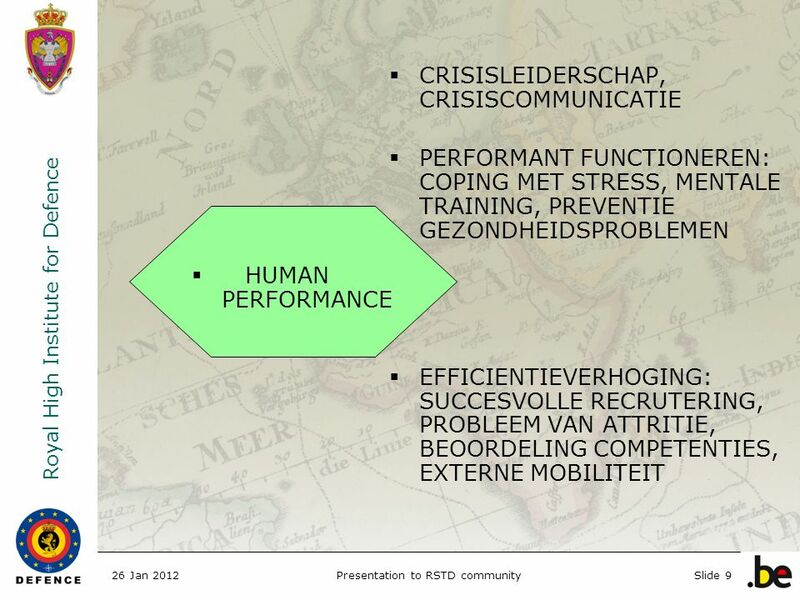 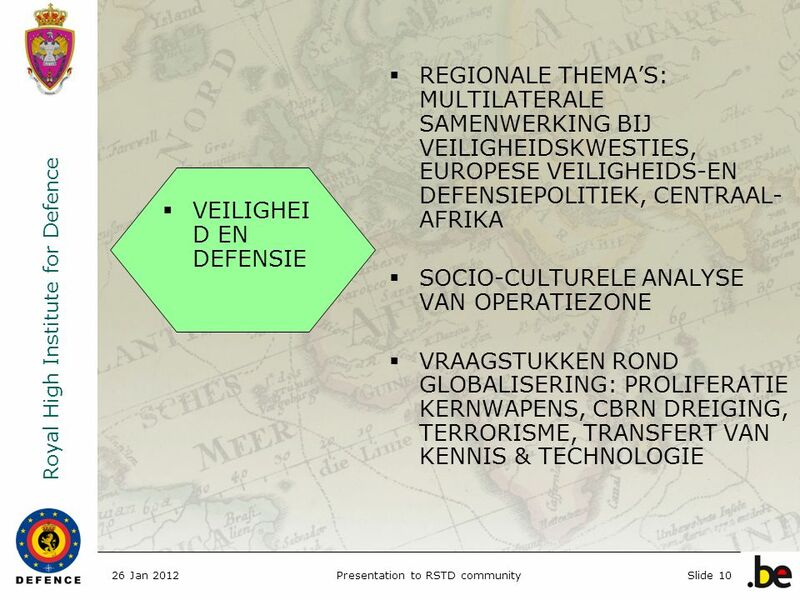 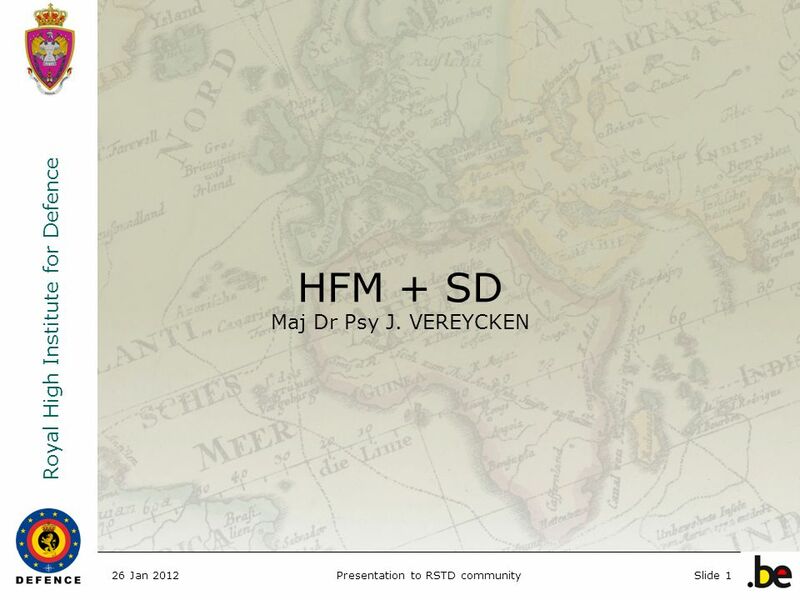 Royal High Institute for Defence 26 Jan 2012Presentation to RSTD communitySlide 1 HFM + SD Maj Dr Psy J. VEREYCKEN. 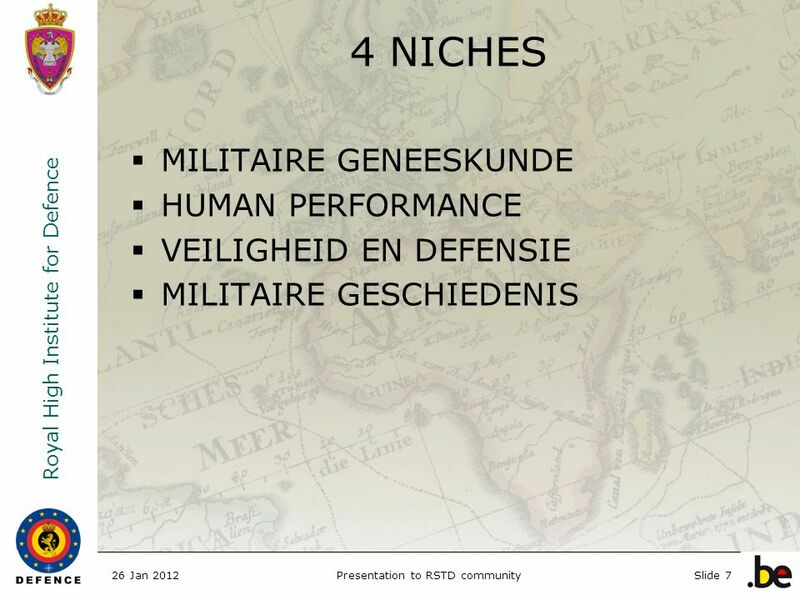 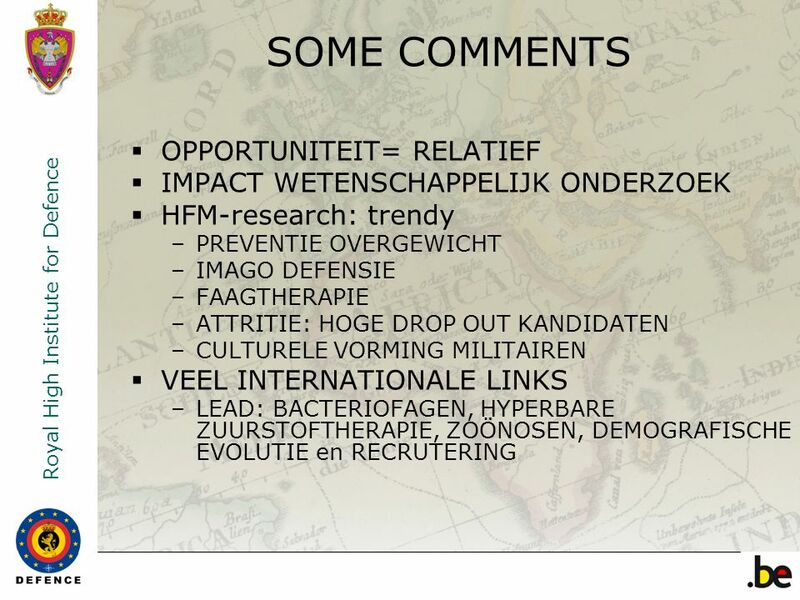 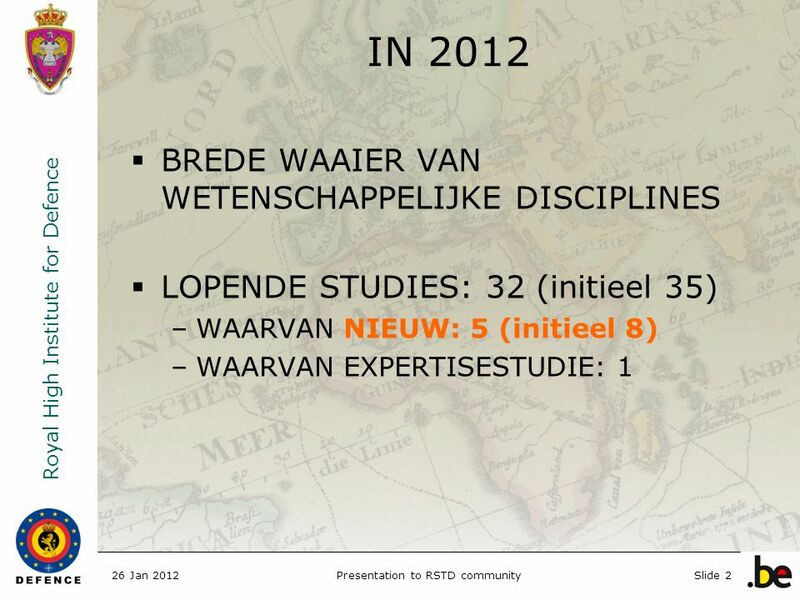 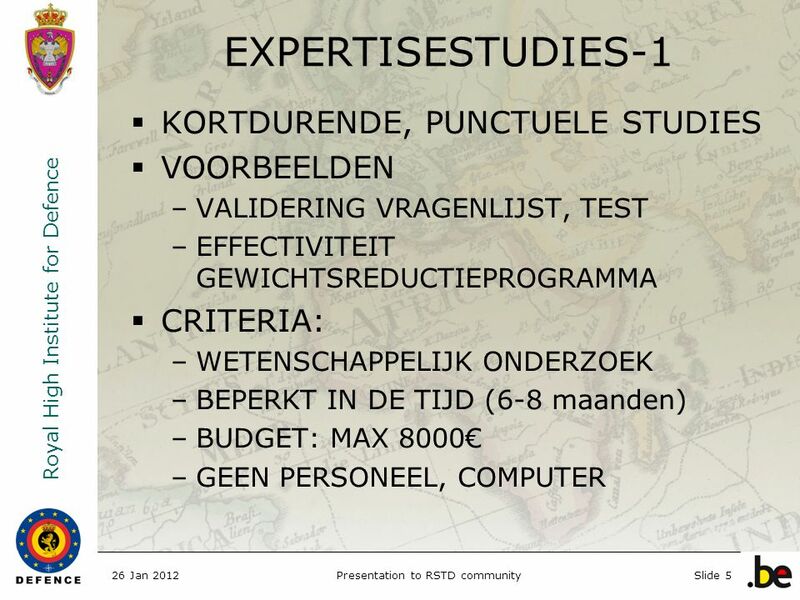 Download ppt "Royal High Institute for Defence 26 Jan 2012Presentation to RSTD communitySlide 1 HFM + SD Maj Dr Psy J. 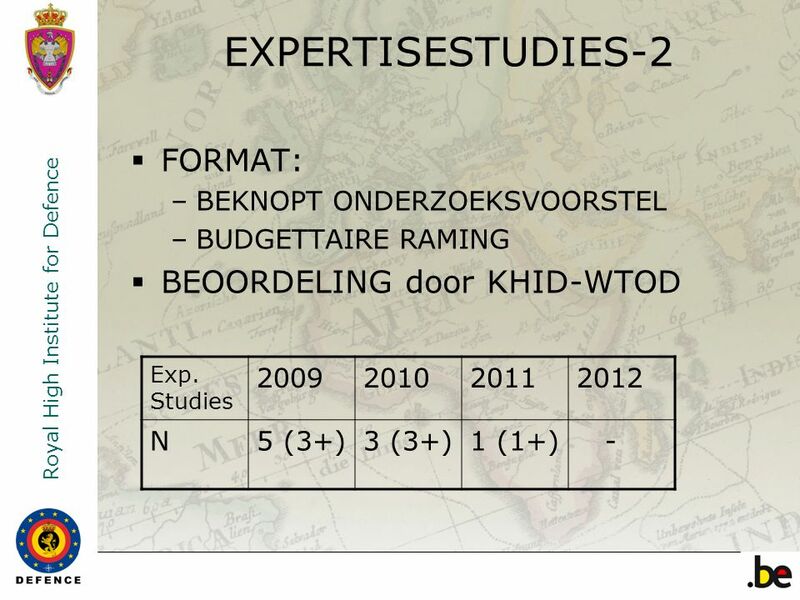 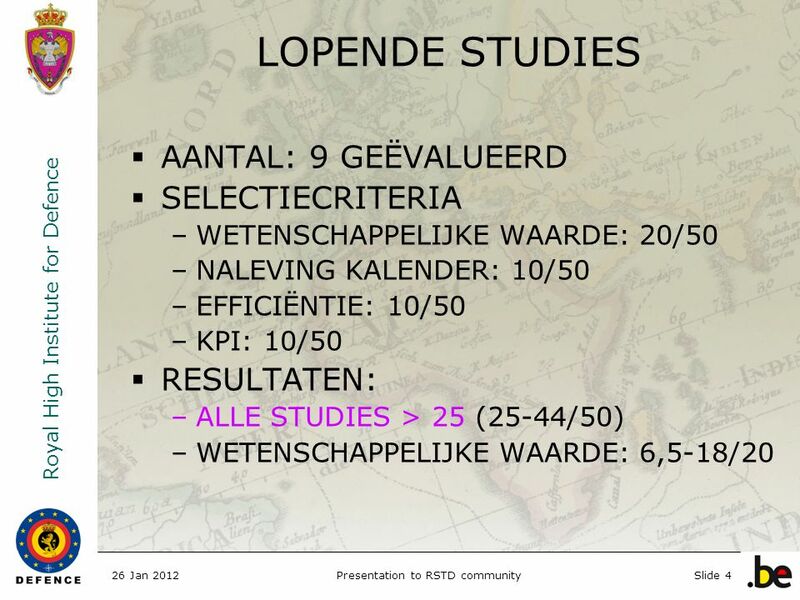 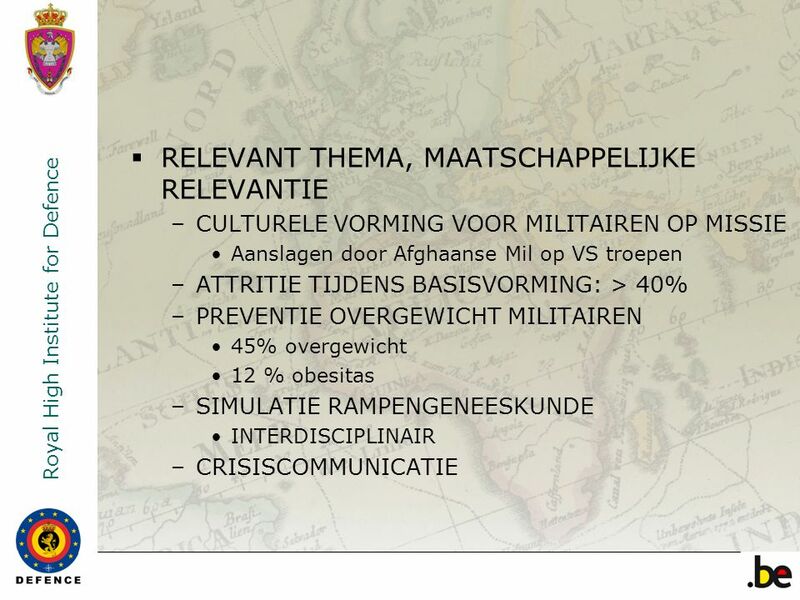 VEREYCKEN." 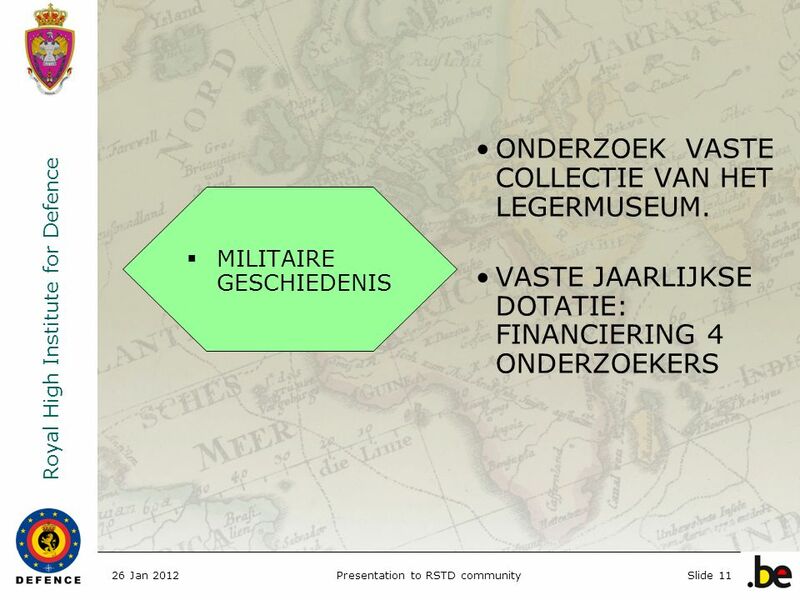 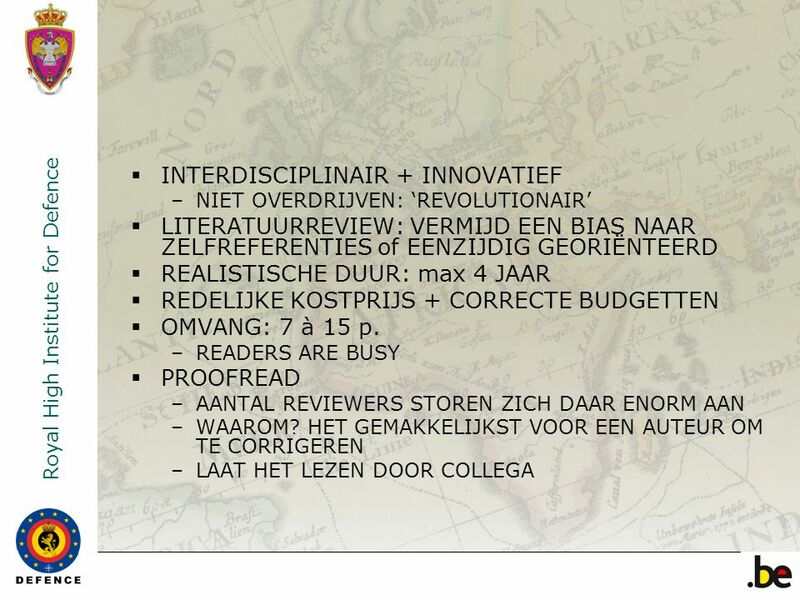 Globalisering, cultuur en techniek Jan van der Stoep. 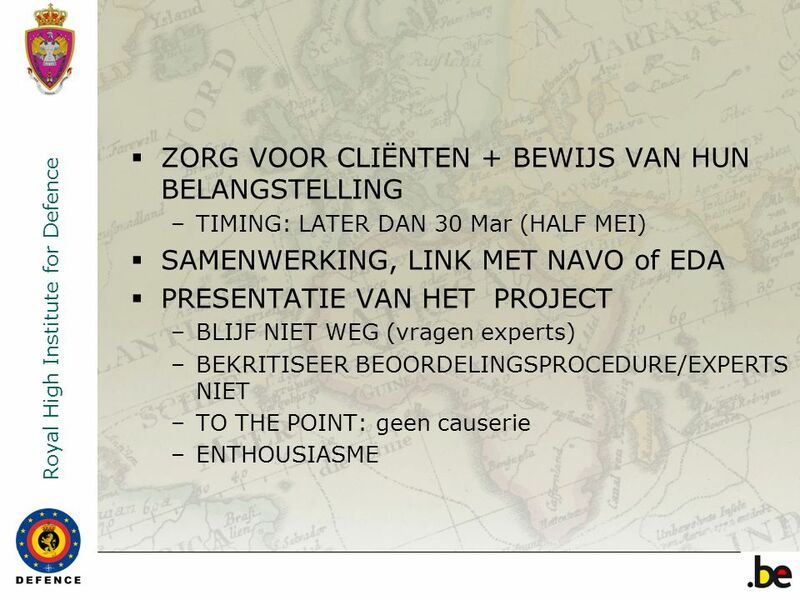 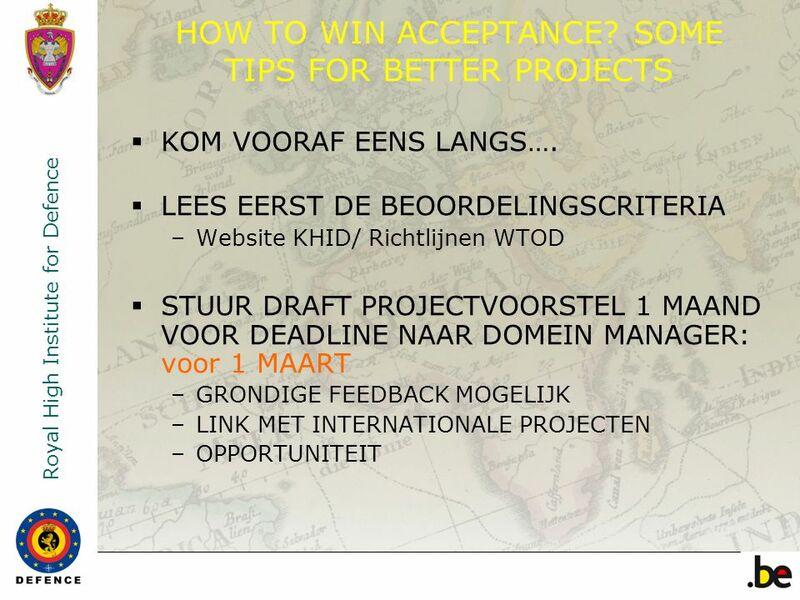 To edit date & footer title choose View>Header/Footer Change fixed date to presentation date Change footer field to title of the presentation Click on.